Listening to the recent news of the disaster in Texas from Hurricane Harvey, it is easy to become overwhelmed by the scope of the devastation and needs of those affected by the storm. 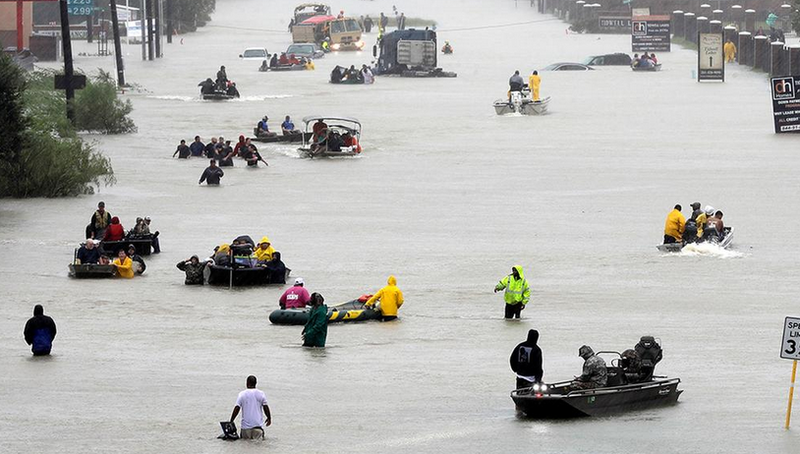 Hurricane Harvey released more than 24.5 trillion gallons of rain, devastating communities and displacing thousands of families and businesses. Anheuser-Busch stopped beer production in Georgia to instead produce more than 155,000 cans of water to areas affected by Harvey. Kroger Foundation committed to $100,000 to the Houston Food Back and is donating $5 for every retweet of #KrogerCares. Google pledged $2 million and is also providing urgent information to those in impacted areas, creating a real-time crisis map to help those on the ground. CVS pharmacy is moving its mobile pharmacy trailers into the area to help people with medications, in addition to monetary donations. It doesn’t stop with companies. Many celebrities and athletes have donated money directly and through foundations to help Texas residents. Does this surprise you? It shouldn’t. Roughly 89% of global citizens think companies should use their unique abilities and assets to lend assistance during a disaster. Discuss with students the social responsibilities that companies have to the public. What is their opinion? Should companies publicize their contributions? Divide students into teams. Have each team research online the level of support that has been donated by companies. Build a list on the white board of the companies, donation amount, and items. Discuss the role of crisis communication during dire times.